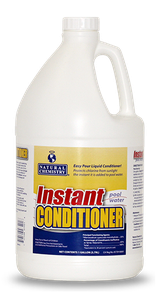 Natural Chemistry's Instant Pool Water Conditioner is used for stabilizing chlorine from UV sunlight loss. It begins working to protect chlorine the instant it is added to the pool. Regular cyanuric acid with a pH of 2.8 is very acidic and it takes from 4 to 7 days to dissolve. This can cause damage to the pool surface or circulation system, depending on the method of application. Natural Chemistry's Instant Pool Water Conditioner is not an acid (it's a salt) and has a pool friendly pH, so it will not damage pool surfaces or equipment. 2. With circulation pump running, slowly pour Instant Pool Water Conditioner into pool skimmer or pour directly into pool water, while walking around the edge of pool. Brush to speed dispersal of the product. 3. Rinse container with pool water and shake to ensure all product is removed from the bottom of the bottle. 4. Pour remaining rinse solution into skimmer or pool. 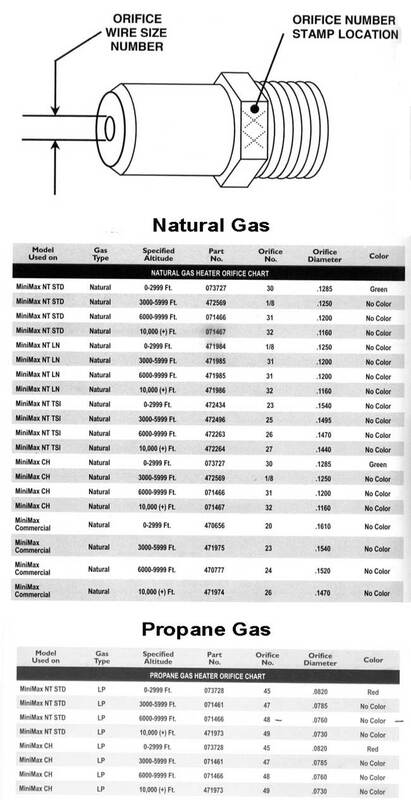 1 gallon of Instant Pool Water Conditioner raises CYA levels by 32ppm per 10,000 gallons. 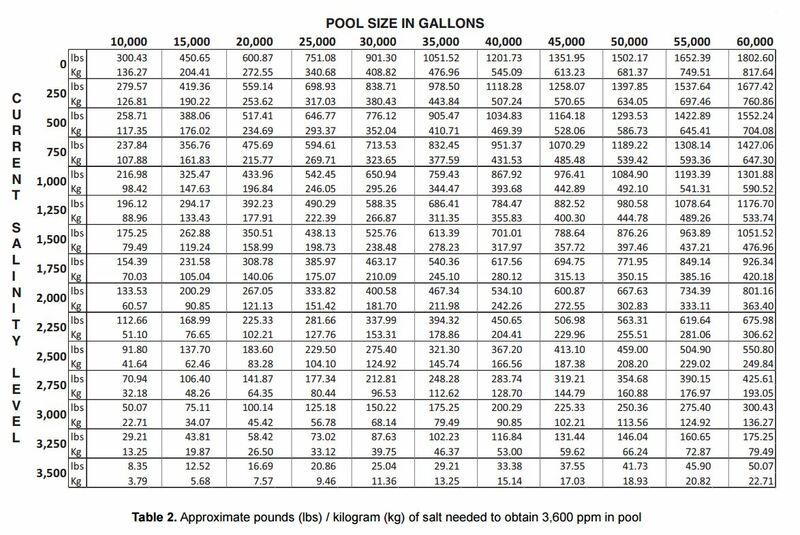 Note: If CYA level is less than 30ppm, calculate the gallons of Instant Pool Water Conditioner needed using the following formula: 4oz added to 10,000 gallons = 1ppm increase of conditioner stabilizer level.